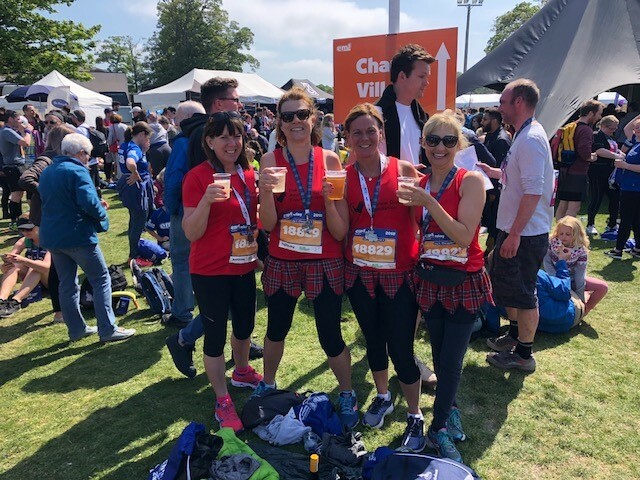 On Sunday, Jane and her running buddies completed the Edinburgh Marathon Hairy Haggis event, and managed to come away with a PB (even though Jane has an achilles injury!). It really is a very well organised event full of friendly runners and spectators. The medals are fabulous and the beers and prosecco at the end were very welcome! If anyone would like to join Jane next year, please email, jane.holden@andrewgrene.org for full details. We look forward to having you join us!